I thought I would have a go at this weeks Play Date Cafe Challenge, black and white with a splash of orange. Tracy, this is so pretty! 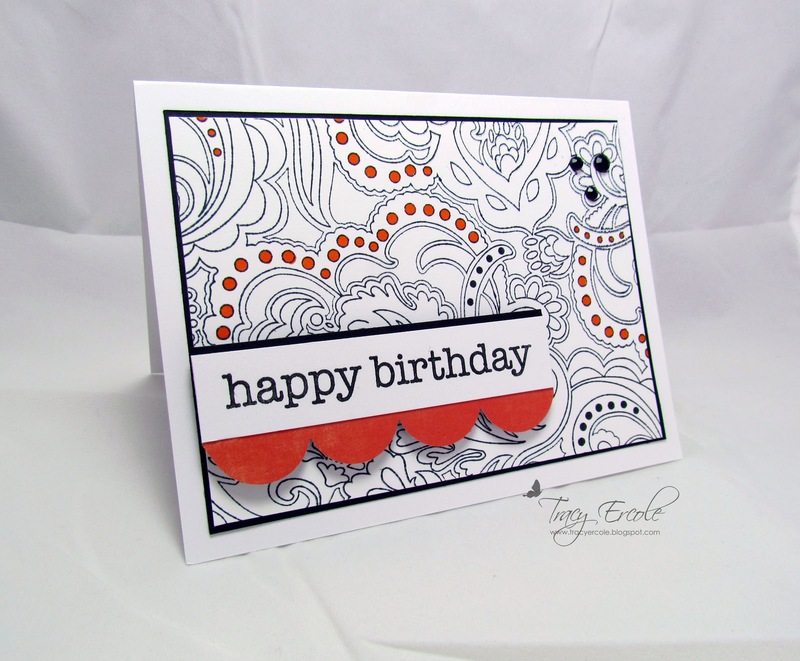 Brilliant, love the way you used the background stamp and simply added color to make it pop. I love where you have chosen to "splash". A striking card with the perfect splash of orange. Ooh I love your take on our challenge Tracy, this reminds me of doodle pads that I used to colour as a child, what a great use of the splash! Thanks so much for joining in the fun with us over at The Play Date Cafe this week! Hi Tracy! Thanks for popping by my blog the other day. It was nice to see you! This is splendid Tracy! Love that Hero Arts background. What a beautiful way to get your splash of orange, Tracy! This is perfectly stunning! Thanks so much for playing along with us this week at The Play Date Cafe! I am in love with this card! I so adore how you added the splashes of color and the popped sentiment is perfect. 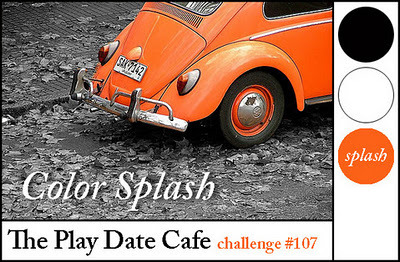 Thank you so much for playing along with color splash at The Play Date Cafe. Love this card for the challenge! 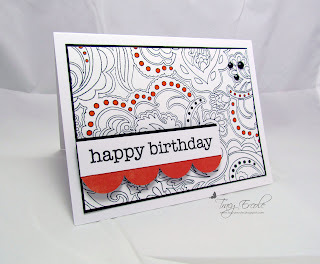 Great idea to use a background stamp!